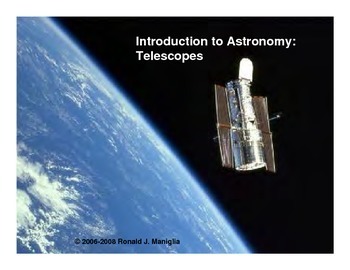 Describe the basic designs of the major types of optical telescopes. 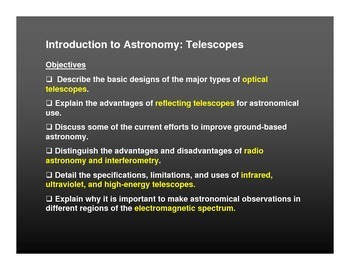 Explain the advantages of reflecting telescopesfor astronomical use. Discuss some of the current efforts to improve ground-based astronomy. Distinguish the advantages and disadvantages of radio astronomy and interferometry. 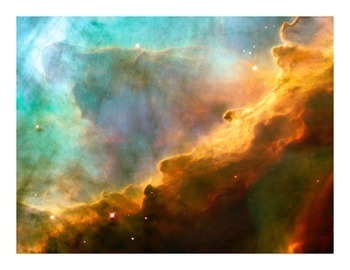 Detail the specifications, limitations, and uses of infrared, ultraviolet, and high-energy telescopes. 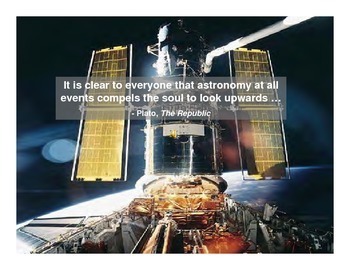 Explain why it is important to make astronomical observations in different regions of the electromagnetic spectrum.